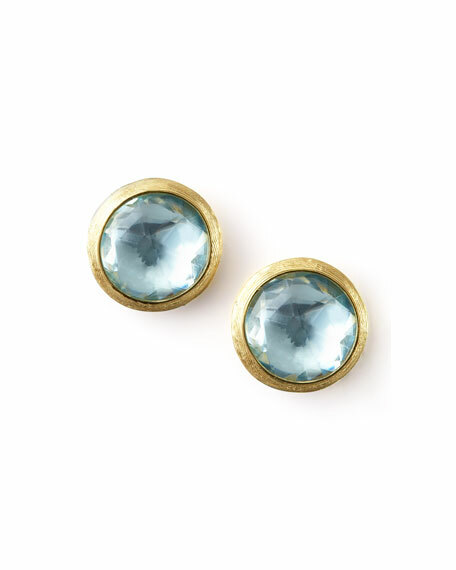 Marco Bicego earrings present the collection's signature brushed gold and sparkling blue topaz facets to bring out the light in your eyes. Hand-engraved 18-karat yellow gold settings. For in-store inquiries, use sku #376306.